Plenty of dental offices have "smile" in their name, but there's only one Smile Doctor. Cosmetic dentist, Dr. Randi Green has advanced dental training in Physiologic-Based TMJ Dentistry, Cosmetic Dentistry, and is an exceptional general dentist. Dr. Green and the smile team are now accepting new patients in our Springfield dental practice. Let us reset your expectation of a dental visit. She and the smile team provide advanced comprehensive general dental care, (TMJ) physiologic-based dentistry, jaw growth orthodontics. Dr. Green is also one of the 417-area's most highly-trained cosmetic dentists near you. She sees new dental patients from all across Missouri, including Arkansas, Oklahoma, Kansas, Nebraska, Iowa, Illinois, Kentucky, Ohio, Mississippi and Tennessee. Many people travel from out-of-state to see Dr. Green for her advanced knowledge about physiologic dentistry and successful TMJ treatment and non-surgical facial development orthodontic outcomes. 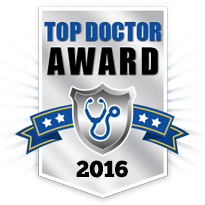 Springfield, MO TopDentist, 5-time consecutive winner, peer reviewed. Dr. Randi Green graduated first in her class from the University of Mississippi School of Dentistry in 2009. In addition to being the top dentist in her class, she was also inducted into Omicron Kappa Upsilon Honorary National Dental Society and is a Thomas P. Hinman Dental Scholar. She then completed a residency in Advanced General Dentistry where she learned the latest dental techniques available to cosmetic dentists. As a top general and cosmetic dentist in Springfield, MO, Dr. Green believes in keeping up with the most current trends and advancements in cosmetic dentistry and physiologic-based (TMJ) dentistry. She feels that this is the key to providing her patients with the quality dental care they deserve. In that spirit Dr. Green, trains regularly at the renowned Las Vegas Institute of Advanced Dental Studies. LVI is recognized as the leading post-graduate training center for advanced cosmetic dentistry, physiologic-based TMJ therapy and treatment, and full mouth cosmetic porcelain reconstruction. Here, Dr. Green and her team stay at the forefront of dental health with the most advanced techniques for Aesthetics and Cosmetic Dentistry and treatment and management of TMJ symptoms and pain. Dr. Green is an extremely caring, comprehensive, and thorough dentist. She takes the time to listen to the needs, concerns, and goals of her patients. She also takes care to make sure patients truly understand their own oral health condition and what steps might be necessary to achieve optimal oral health. Dr. Randi Green is southwest Missouri's only practicing Fellow of the Las Vegas Institute. Dr. Randi Green pictured with Heidi Dickerson and Bill Dickerson, founder of the Las Vegas Institute for Advanced Dental Studies. Dr. Randi Green with husband Daniel, and pictured with 6-month-old Callie. Dr. Randi Green, Daniel, and 2-year old Callie. As a general dentist practicing advanced physiologic-based dentistry, Dr. Green and her smile team work very hard to ensure your health and dental care is her top priority. Springfield, MO Cosmetic Dentist, Randi Green DMD, LVIF, has been consistently recognized as one of the best dentists in Springfield and named a Best Dental Practice in Springfield, MO in 2015 and 2016. 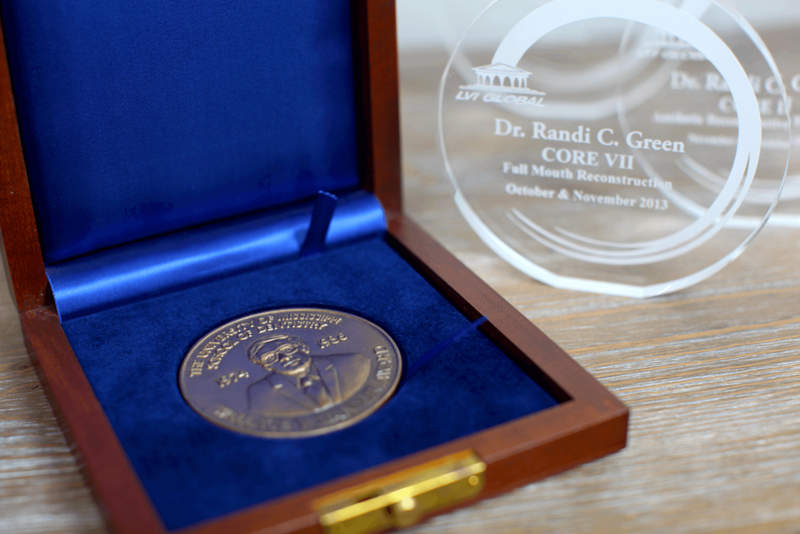 Dr. Randi Green is Springfield, MO's only LVI Fellow Neuromuscular Dentist (TMJ). LVI Fellow is the distinction awarded to dentists who have completed 278 + hours of continuing education through the LVI Core Curriculum. The LVI fellow training involves advanced aesthetics for cosmetic dentists and physiologic science for treatment of jaw-joint and muscular facial pain problems. The LVI fellow has also successfully completed a comprehensive examination in order to achieve this distinct status. Dr. Randi Green is an official provider for New You Dentures™. Cosmetic Dentures made for you. As a cosmetic dentist, she completed extensive training in the cosmetic and technical aspects of these dentures in order to provide you with the best denture possible. Her cosmetic dentures replace more than your teeth, they replace the volume of the face that disappears after the teeth are lost. New You Dentures™ can give you back your youthful, vibrant smile. Dr. Randi Green is an Invisalign Preferred Provider Dentist for clear aligners in Springfield, MO. Like most medical needs, selecting the right doctor and cosmetic dentist is a very important decision. Dr. Randi Green, cosmetic dentist honored in class of 20 Most Influential Women in Springfield, MO. Dr. Randi Green was one of 20 recipients of the 2013 Springfield Business Journal Most Influential Women award. The award recognizes the leadership, influence, and civic involvement of women across southwest Missouri. Dr. Randi Green was honored to be recognized in her second year of dental practice ownership in Springfield, MO. Read Dr. Randi Green's Most Influential Women article in the Springfield Business Journal. Best Springfield Top Dentist nominee Dr. Randi Green ranks as one of the best cosmetic dentists near you in 417-land. She is a 417 top dentist in Missouri and Springfield in 65802, 65803, 65804, 65806, 65807, 65809, 65810, 65714, 65721, 65742, and 65757. She is consistently ranked by her peers as best cosmetic dentist in Springfield in 2015, 2016, 2017, 2018 and 2019!